ACUVUE ADVANCE 6 contact lenses - . ACUVUE ADVANCE is one of the most popular two weekly contact lenses. 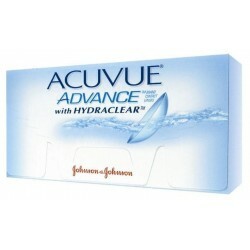 ACUVUE ADVANCE uses hydraclear technology to deliver a moisture retaining contact lens. The lens blocks UV rays which makes it ideal for people working outdoors or playing sport. ACUVUE ADVANCE are designed for removal and cleaning before going to sleep. It’s recommended that they be replaced with a fresh pair every two weeks. A cinch to put on & take out of your eye. Experience all-day comfort with patented Hydraclear™* technology! 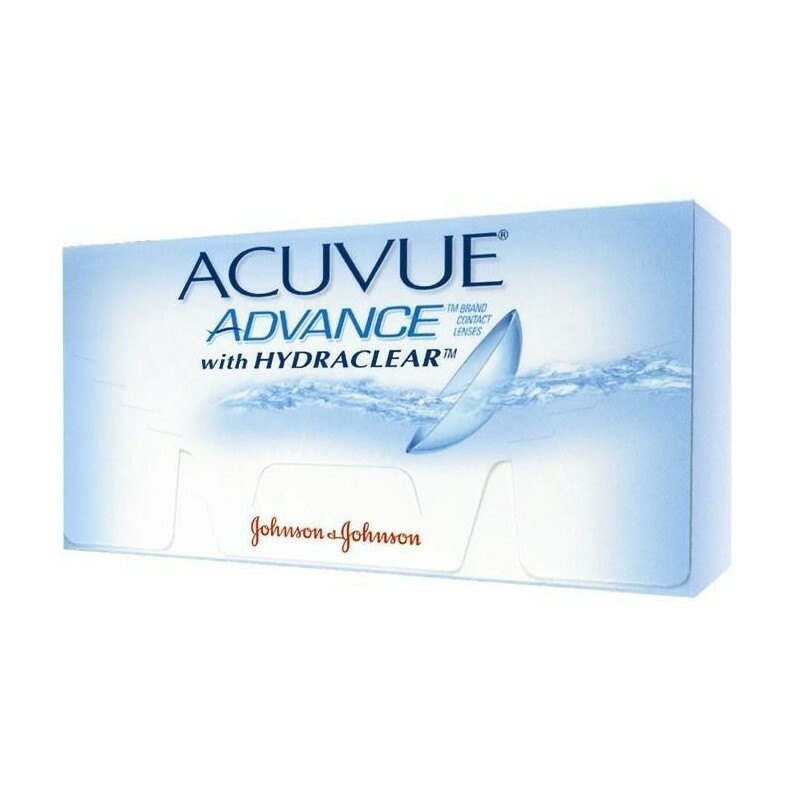 Acuvue® Advance™ Brand with Hydraclear™ provides Class I UV blocking°, allows nearly 100% of oxygen through to the cornea, & are unbelievably soft. Acuvue® Advance™ Brand Contact Lenses are made with Hydraclear™, so you'll enjoy a unique, soft, silky feel - no matter how long your day lasts. Hydraclear™ is Johnson & Johnson Vision Care, Inc.'s brand name for its proprietary technology that brings together a remarkable moisture-rich wetting agent with high-performance base materials to form clear, wettable lenses resulting in a unique, silky, soft feel. 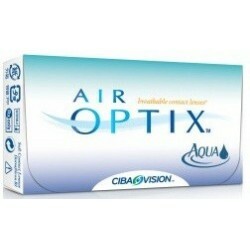 Acuvue® Brand Contact Lenses block approximately 82% of UV-A radiation and 97% of UV-B radiation. On the average, contact lenses without UV blocking block approximately 10% of UV-A radiation and 30% of UV-B radiation(1). Hydraclear™ Plus is Johnson & Johnson Vision Care, Inc.'s brand name for the next generation of its proprietary technology that allows a higher volume of a moisture-rich wetting agent in a new, state-of-the-art formulation. 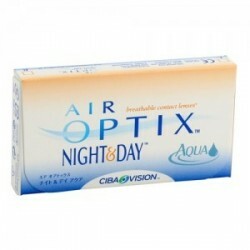 This creates a more wettable, ultra smooth contact lens, especially for challenging environments that make eyes feel dry.